‘Tis the season to be cozy. And redecorate! 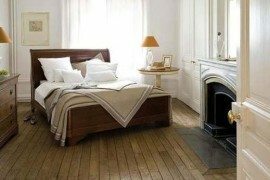 With the weather outside getting colder by the day, now is the perfect time to stay indoors, hibernate, and feather your nest. 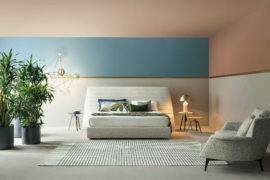 If you’re currently in the market for the perfect sleeping spot (for a long winter’s nap), today’s post is for you. 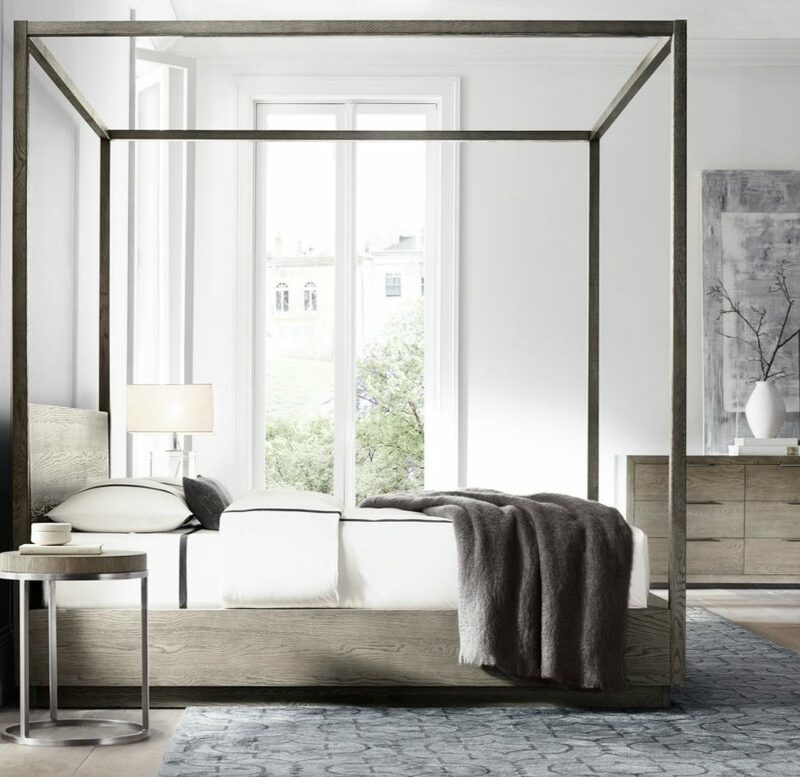 Below you will find 20 high end beds that celebrate the best in modern design, from sleek brass canopy beds to ornate tufted pieces. All of them have a luxury vibe. Enjoy! 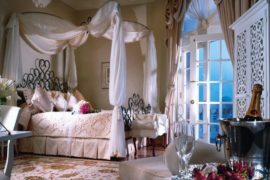 Canopy beds draw the eye upward, and rather than being surrounded by frilly fabrics, today’s canopy beds blend the modern with the grand! 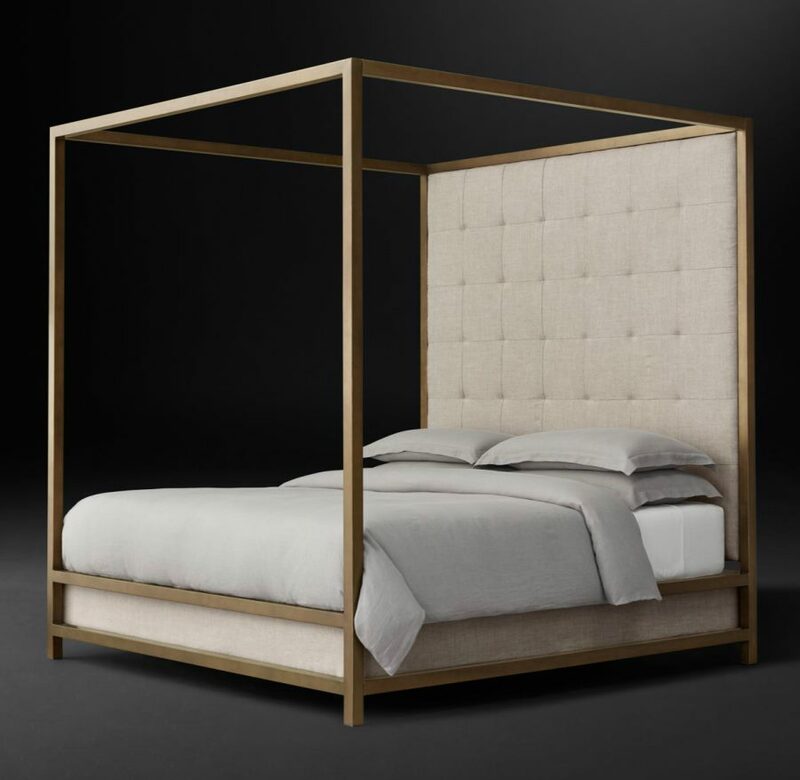 A brass-finish frame and a tufted headboard are two standout features of the Montrose Tufted High Panel Four-Poster Bed from . 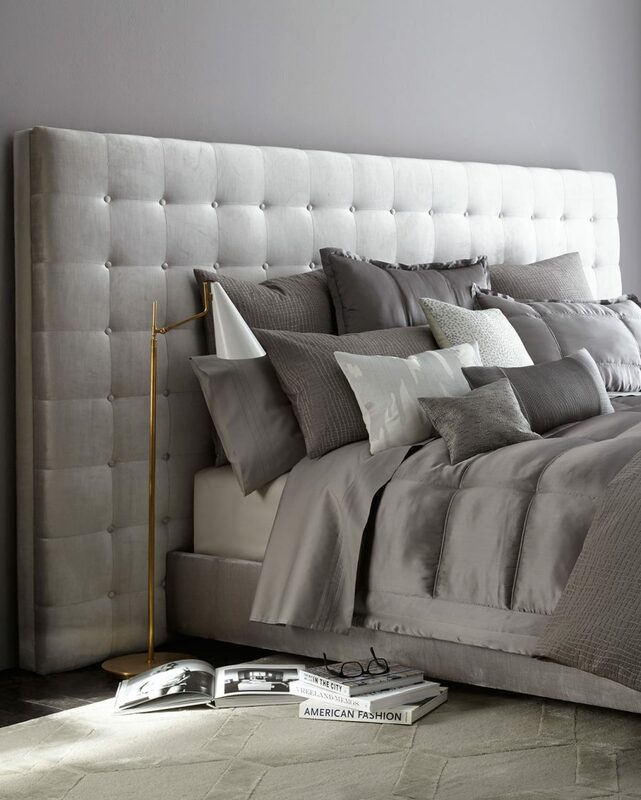 Customize the bed with the tufting fabric of your choice, and you’re set for a luxe winter! Va-va-voom!!! 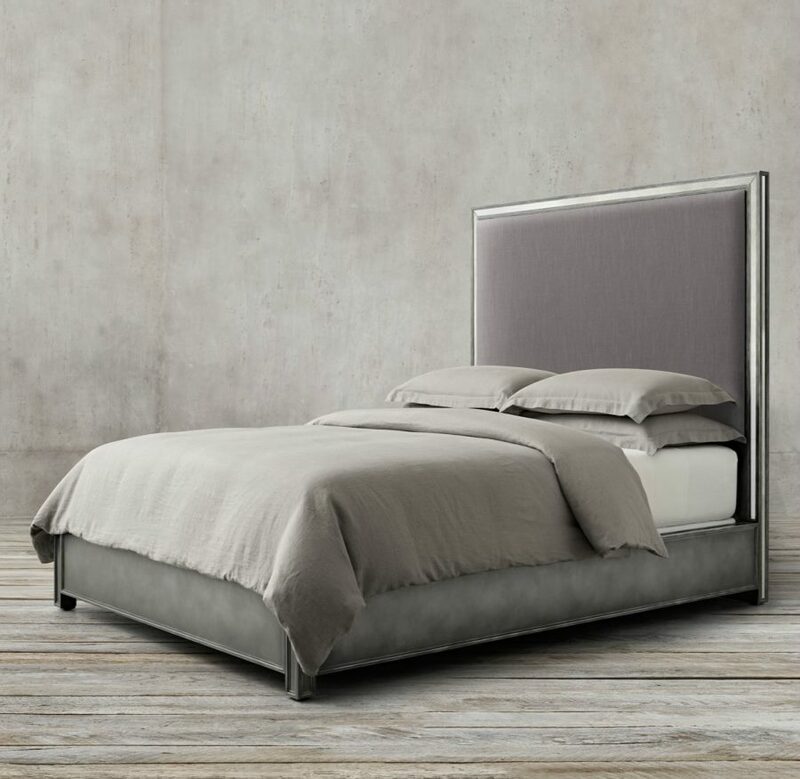 Bernhardt’s Gilded Pressley King Bed proves that more is definitely more when it comes to metal canopy beds. The picture says it all, as this is a piece of substance! Available via . 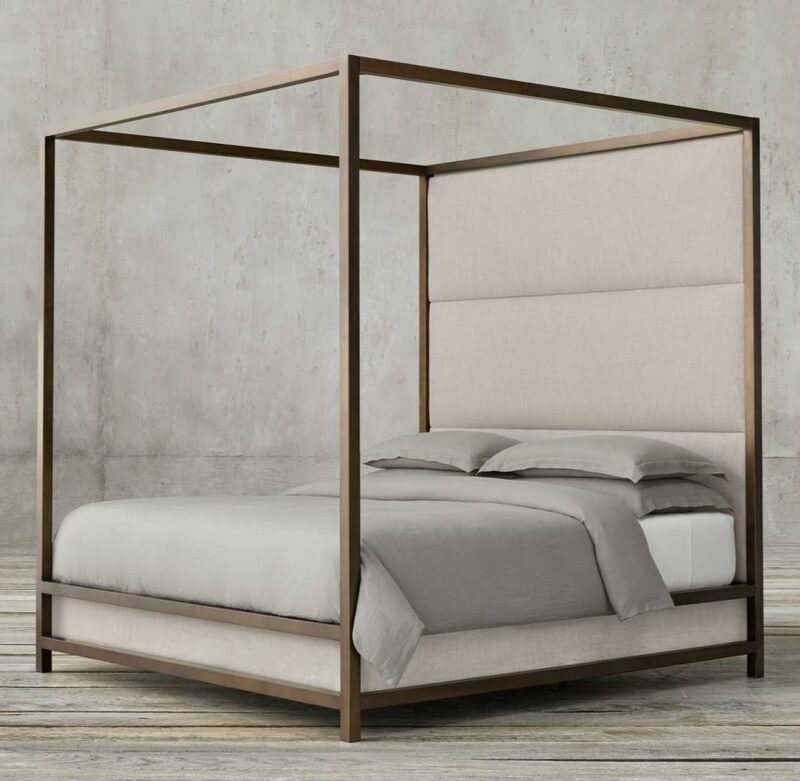 For a more rustic take on canopy bed style, check out the Machinto Four-Poster Bed from . 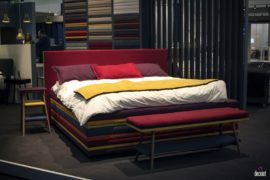 The visible grain of the wood adds a strong yet soft touch, while the power of right angles is alive and well in the bed’s bold frame. 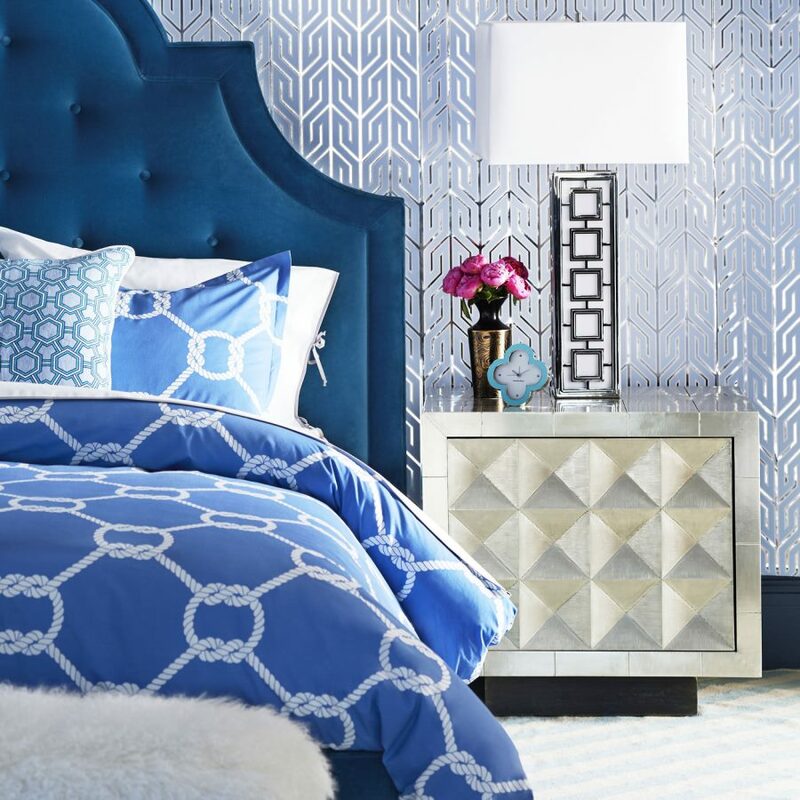 Bring on the peacock blue! 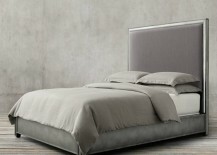 Below we see the Woodhouse Queen Bed from . 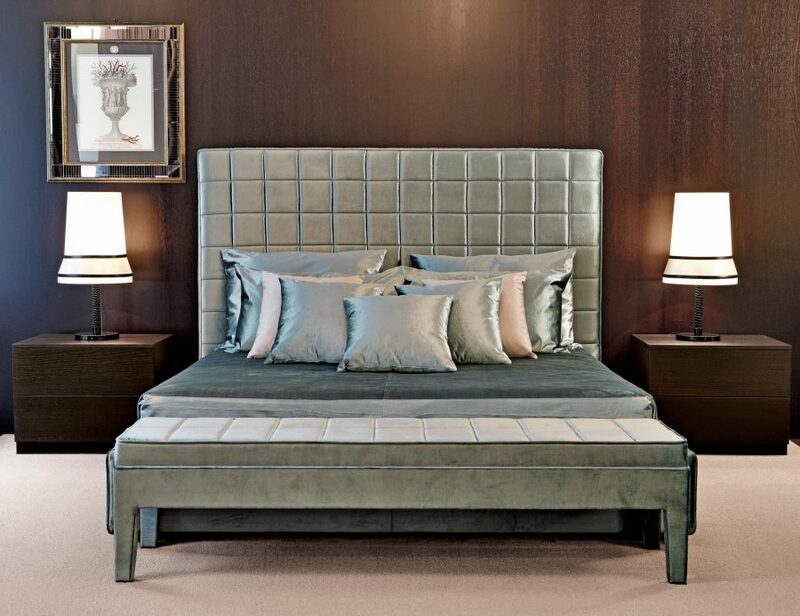 Cotton velvet, tufting and plenty of curves make this piece an elegant, deluxe focal point (not to mention, a comfy place to curl up with a good book)! 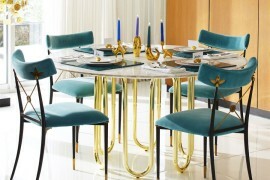 Ready to head into opulent territory? 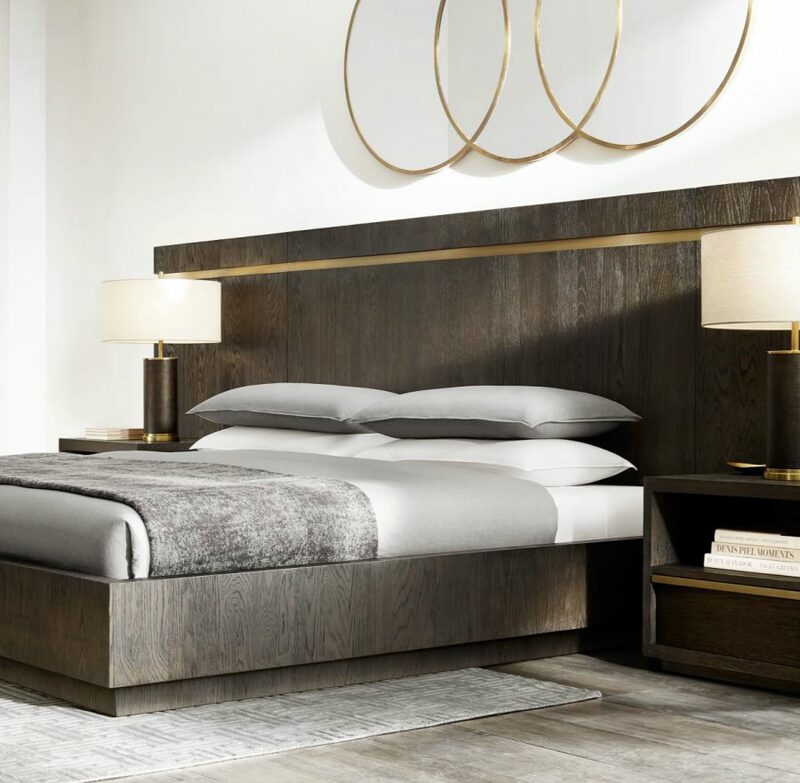 Horchow’s by Haute House features a wooden frame, an abundance of tufts, and golden accents. 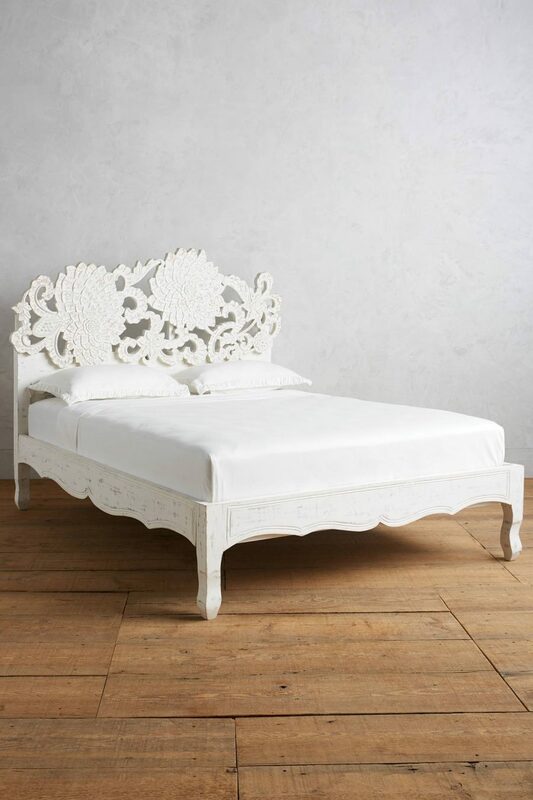 And we’re thinking that Lucite bench with the fluffy top is a must when it comes to accessorizing this showpiece of a bed! 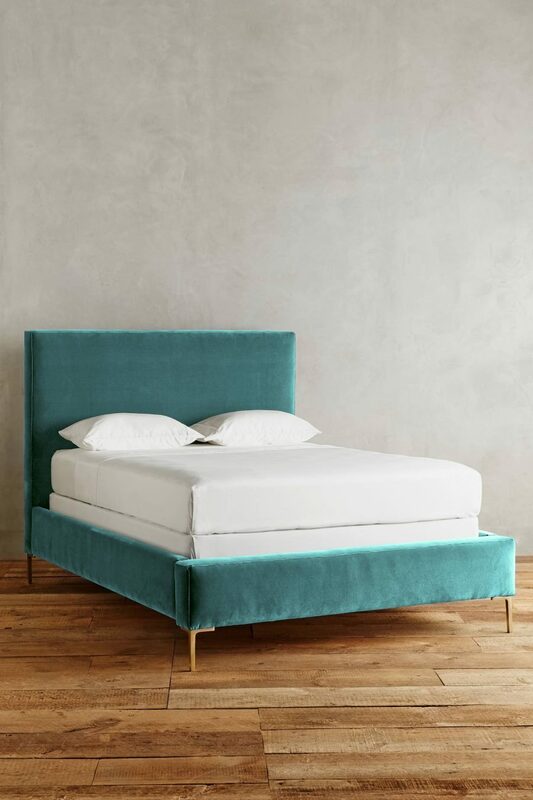 When tufting meets linear style… This Park Avenue Bed by Haute House for features a substantial headboard that makes the perfect backdrop for a long winter’s nap. 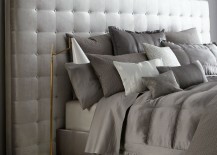 Especially when ample bedding is involved! 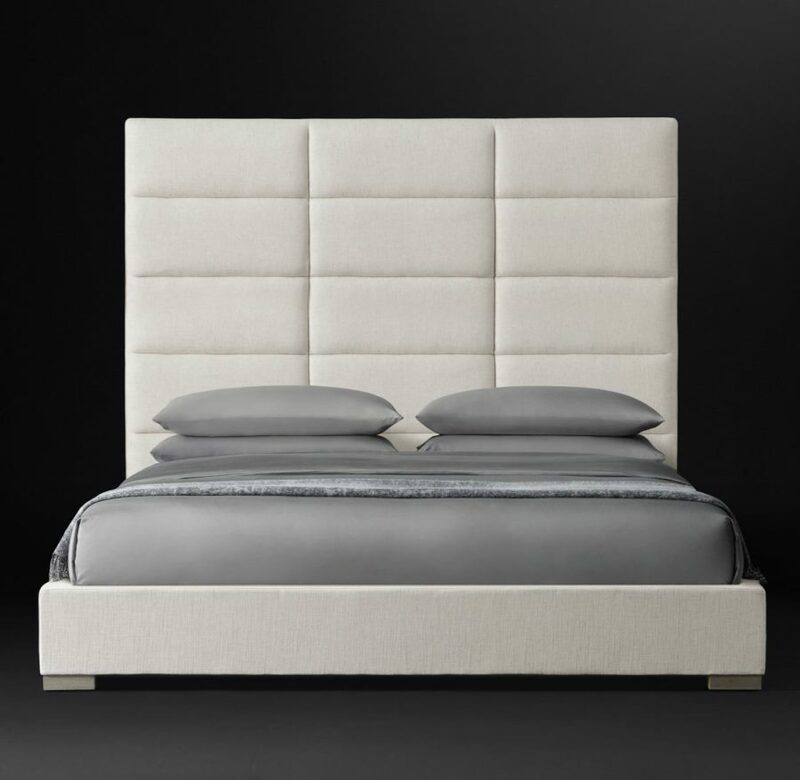 Nailheads can add definition and chic style to an upholstered headboard, and this Octavia Bed with Nailheads from is the perfect example of made-to-order style. Why? 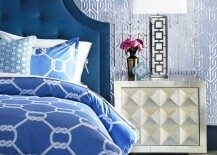 Because the headboard can be upholstered in a huge selection of fabrics, from solids to exciting patterns! 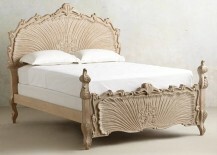 Anthropologie’s features a solid mango wood frame and a floral motif. 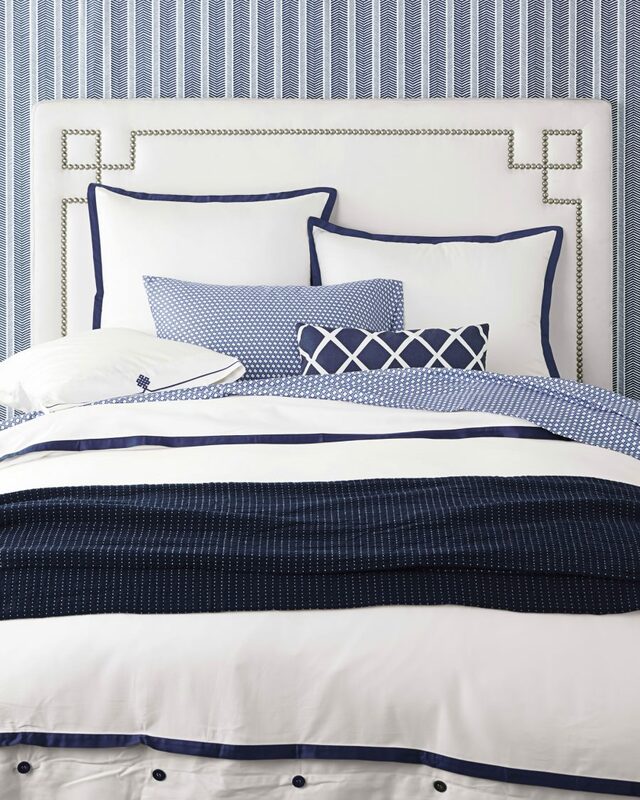 Imagine the fun of selecting bedding to complement this beautiful showpiece! 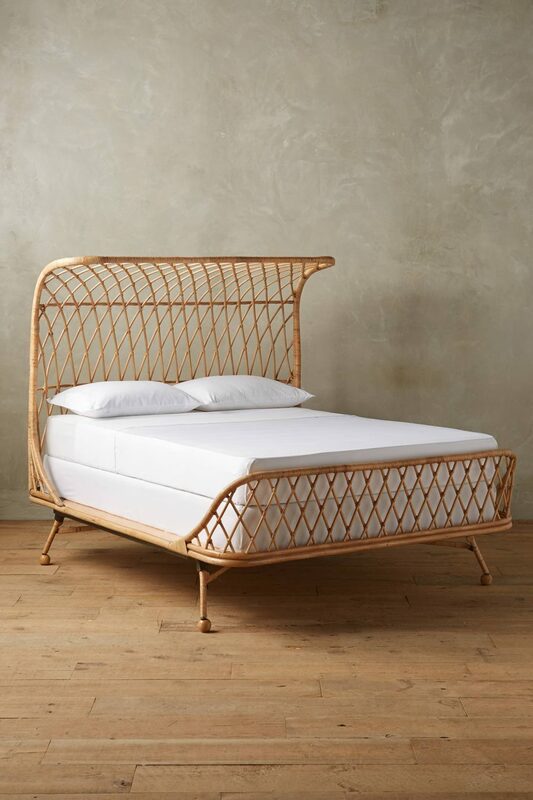 So many amazing beds from Anthropologie, and here’s one more! 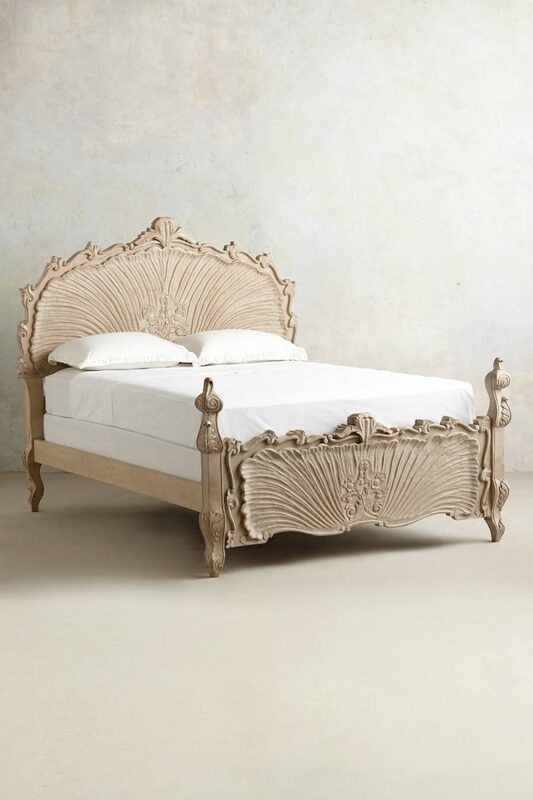 The is crafted from handcarved wood, and the curves, lines and frills of the piece give it an enchanting under-the-sea vibe. As precious as a pearl!